In a world that over-complicates so many things, what could be simpler and more effective than going back to Jesus’ own words to guide our lives as His disciples? The Red Letter Challenge is a 40-day period of listening to Jesus, being challenged by Jesus, and being changed by Jesus. We will learn and grow together as Jesus’ disciples, especially focusing on being, giving, forgiving, serving, and going. During these mid-week Lenten services, we look at how Jesus interacted with and received those who might be considered on the fringes. Even more than that, the Scriptures highlight how Jesus would go out of His way to pursue those others might label “outcasts.” Jesus’ love is extravagant and relentless without measure. What drew Jesus to these outcasts? What do we learn about how Jesus viewed people unworthy of His love? How can you relate this to your life today? In science, DNA is the basic code in all living things. The code in our DNA defines our physical characteristics and identifies us based on our lineage. Thinking about our Spiritual life in Christ in terms of DNA (metaphorically) can give us ways of talking about our identity as His people and how that identity in Christ manifests itself as we live out our faith. The identifying marker of the children of God is living in selfless love: “By this everyone will know that you are my disciples, if you love one another” (John 13:35). “Accessibility” refers to designing something so that it is easily used or accessed by all people, including those with disabilities. The spiritual reality is that, apart from the coming of Jesus, we would be handicapped in our knowledge, our understanding, and our connection with God. But Jesus’ coming makes God accessible to us—God’s presence, His heart, His power, and His Spirit and are now accessible to those who naturally were spiritually “disabled” by sin. And Jesus’ presence makes God accessible, not only to us but to all people. Christmas celebrates the joy, hope, love, and peace found in the Christ child born in Bethlehem! We’ve all heard the old adage, “It’s not what you know, it’s who you know.” This season of Advent, we live with expectation as we await Jesus’ coming. That expectation finds its expression in our desire to know God more, to understand His heart, and more clearly see His purposes in sending Jesus as our Immanuel, “God with us.” This year we look at the Old Testament prophesy of Jesus’ coming, “For to us a child is born, to us a son is given, and the government will be on his shoulders” (Isaiah 9:6). Isaiah’s prophesy then continues with names assigned to this child, and through these names, we get to know Jesus all the more, and it is in knowing Him that our lives are transformed. Our God is faithful in every circumstance—far beyond what we could ever ask or imagine. His love is constant. He fulfills His promises in sending Jesus as the Savior of the world. He provides for our needs of body and soul. Our Lord will continue to be faithful to His promise to deliver His people until Christ's return. As we respond to that faithfulness, we say along with the prophets of old, the Lord’s “compassions never fail, they are new every morning; great is your faithfulness” (Lamentations 3:22-23). By grace God has made us His Own, redeeming us and giving us purpose. In fact, God’s Word says, “We are God’s handiwork, created in Christ Jesus to do good works, which God prepared in advance for us to do.” And God has joined us together as one people, the church, and He gives to each follower of Jesus gifts for the building up of God’s people and to extend His love into this world. Unified in purpose and gifted by God, everyone has a part, and your part matters. Beginning Sunday, August 19, we are kicking off our theme for the year ahead! "United • Unidos" focuses on our unity in Christ and draws us together as one Prince of Peace/Príncipe de Paz family. Jesus says in John 15:5, "I am the vine; you are the branches. If you remain in me and I in you, you will bear much fruit; apart from me you can do nothing." Together, we strive to produce fruit for God's Kingdom. A “Lifehack” describes any advice, shortcut, tip or skill that will help you get things done more efficiently and effectively. Because it is God’s Word, the Bible is our guide to all things in faith and life. Above all, it shows us Jesus, our Savior, and all that He has done to make us God’s people. It also empowers us and guides us as we live for God and we make a difference in this world for the sake of Christ’s Kingdom. Our Summer Back-to-Basics theme of “Lifehacks: Biblical Tools to Amplify your Faith” from Scripture is inspired by topics in the NIV Lifehacks Bible. This two-week series bookends our Vacation Bible School week here at Prince of Peace where kids will learn that Jesus rescues them throughout life's storms! Why “New Beginnings”? The Resurrection of Christ is the New Beginning, and as people of the Resurrection, He desires that we start new every day. Resurrection… Transformation… Reformation… Repentance and Absolution… are all new beginning words, and all are applicable to the Lord’s people today. To resist new beginnings in His grace is to resist the future He has in store for us as His people. And so we pray, and seek, and long for His new beginning among us in this day, at this time, in this place. Midweek worship during the season of Lent gives us the opportunity to gather as the people of God to encourage one another in faith, to turn away from sin in repentance, and to lean on Christ, our Savior. Our themes focus on "Timely Encounters." Each week we look at a key time when the Lord's people encountered Him, discovering His deliverance, His promise, and His power. What is the “job” of the church on earth? When we look to Jesus’ words in His great commission (Matthew 28:18-20), we hear His call to make disciples of all peoples by baptizing and teaching. Making disciples, sharing His love, bringing the good news of the Gospel…however you want to put it, empowered by the Spirit and driven by His love, that is our one job. Christmas at Prince of Peace celebration the joy and wonder of the Christ-child being born into this sinful world for our redemption. Several times leading into and surrounding the birth of Jesus, the Gospels record angels bringing the message from God, “Do not be afraid.” We explore some of these “fear not” messages as we prepare for the birth of Jesus. They are particularly relevant in a world where there is so many things that could cause us fear or anxiety. Are you ready? While our God never changes, the world around us certainly does. In these trying times, being ready to share God's love and live out His mission is crucial for His kingdom. Join us throughout the month of November as God's Word directs us to be ready for His work, His praise, and His coming. October 31, 2017 marks the 500th anniversary of the Protestant Reformation. In celebration, we are taking the month of October to focus on five foundation truths of our Christian faith. Good theology loves a great paradox. God’s Word calls on us to grow — 2 Peter 3:18 “But grow in the grace and knowledge of our Lord and Savior Jesus Christ. To him be glory both now and forever! Amen.” And yet, God’s Word conveys that, because we are in Christ, we are already everything that we need to be — 2 Peter 1:3 “His divine power has given us everything we need for a godly life through our knowledge of him who called us by his own glory and goodness.” Both statements are true and need to be held to and purposefully lived out in the life of Jesus’ followers. With Pentecost and the weeks that follow, we have a number of themes that touch on the word, “One.” We are One in the Spirit. Together we worship the One True God, who has revealed Himself to us as Father, Son, and Holy Spirit, the living and eternal God. We are a part of One Family of Faith, privileged to call God our Heavenly Father. We are reminded that we are One in Faith as we learn about the Augsburg Confession, one of the foundational doctrinal statements of the Protestant Reformation (1530). The nexus of the unity we share is that our God has drawn us to His Son, the One who gave Himself on the cross to make us one forgiven and redeemed people of God, living and thriving within the grace He has showered upon us. It seems the one constant in our world is that things are always changing. Jesus, with power over even death itself, has the power to bring about the change we need. Our prayer is that in these weeks following Easter, people at Prince of Peace would experience the power of Jesus’ resurrection as never before, finding in Christ the change we all need. During these Sundays in Lent (a time in the church where we prepare for the great Easter celebration of Jesus’ resurrection), we zero in on ways in which Jesus exerted His divine authority, spoke truth with vivid imagery, and changed our eternal destiny. As the One who is fully-God and fully-Man, He singlehandedly changed the course of human history. As we fix our eyes on Jesus, we ask the questions: What does this mean for me? And how do I share this with others so that they, too, are drawn to our victorious and loving Lord? When Jesus came to our world, he never intended to leave it unchanged. His was a mission to change everything: to give the fullest, most authentic demonstration of God’s love; to conquer sin and its deathly effects; to heal, restore, and bring life and light. Jesus’ work continues today—and He uses His people as His instruments to bring change to this world. (Certainly, it is not we ourselves who have power to change the world, but, empowered by God’s Spirit at work through His Word and Sacraments, we are transformed and empowered for Him to work through us.) Our Epiphany sermon series gives focus to how God is using us as His conduits to change the world. Easter isn’t just a day to be celebrated; rather the church has set aside a “season” of the church year to celebrate the Resurrection of our Lord, spanning just past the 40 days that Jesus showed Himself numerous times to His disciples as He continued to walk this earth before His ascension into heaven. This year our focus during the Easter season is upon how God’s work continued in and through the Apostles (literally: those who are sent), as recorded in the book of Acts. We also consider how God desires to be at work in and through us, as modern-day followers of Christ. This prayer from the Lutheran Book of Worship strikes a resonant chord with those who walk with Jesus: "Lord God, you have called your servants to ventures of which we cannot see the ending, by paths as yet untrodden, through perils unknown. Give us faith to go out with good courage, not knowing where we go, but only that your hand is leading us and your love supporting us; through Jesus Christ our Lord. Amen." Walking with Jesus makes all of life an adventure, and the best part of it is that we get to walk with the One who is the Son of God. Stewardship Emphasis: As a part of our Lenten journey, we also consider in very practical ways how God has set us apart and called us to manage all of life for the sake of the Kingdom. It causes us to reflect: What am I experiencing as I walk with Jesus? And how is He leading me for the sake of the Kingdom of God? Prayer is such a key part of the season of Lent—in fact, it is such a key part of the whole of life for God’s people. It is the means God has given us to communicate with Him, to share our cares and concerns, to call upon Him in praise and giving thanks. Intimate. Passionate. Expectant. Powerful. We call upon our gracious God, the Lord of heaven and earth. During our Lenten midweek services, we are looking at Five Prayers that Changed the World. Jesus’ power transforms lives, and the Spirit enlists the people of God to pray and anticipate all that God will do. Jesus is God’s Messiah (“anointed, or chosen one”), who came into our world as our only rescuer and savior. This season of “Advent” is a time of preparing to celebrate His coming, and a time when we look forward to His coming again when He will restore all things. We follow in Jesus’ footsteps because He has been revealed as our Lord and King, and His Spirit has worked in our hearts so that we trust in Him. Hundreds of years before His coming, God’s prophets foretold the Messiah’s coming. These prophesies still speak to us at 21st Century Jesus-followers. These holy words identify Jesus as the One who was to come, bringing us assurance and hope. These words move us to serve Jesus in the purity and joy we have as His followers. They even point to His promises to bring us His peace and His presence in our day. The word “Advent” means “coming.” Something is coming… SomeOne is coming…and with Him, comes hope. In this time of preparation for our celebration of Christ’s first advent, and in our longing for His coming again, God again and again fills our lives with His version of hope—a certainty and expectation rooted in God’s Word and His faithfulness. Lives filled with hope in Christ reach other lives so they, too, can experience the renewal and hope found only in Jesus, our coming Savior and King. At the heart of being Christian, there is this core concept of following Jesus. The disciple follows his or her master, imitating the master and learning along the way. The church is in the disciple-making business, connecting people to Jesus and leading them in the process of walking in His ways. This discipleship process is never completed for any of us in this life—we are continually learning and growing as we follow Jesus until He brings us to our heavenly home. And we always remember that God’s design is not to make us out to be “cookie-cutter Christians”—rather, discipleship is a process, a life-long learning adventure. It is, at its core, the art of following Jesus every day, knowing that Jesus has promised to be with us always, expecting that we will “bear much fruit” as we remain in Him and He remains in us. As we wrap up our summer series and begin the new school year, we go back to the common Lectionary for our weekly readings and themes. Each summer we at Prince of Peace go “back to basics” as we take a fresh look at our relationship with our loving God and how that shapes our lives in this world. This summer as we go back to basics we consider the topic, “Generous Living.” God our Father has given great and wonderful gifts to His children. He is the most generous Giver, giving even His Son, Jesus Christ for us. All blessings ultimately come to us through Jesus Christ, the only mediator between God and man. As God’s people, we learn that God’s design is that we neither hide nor hoard any of the gifts we have freely received from Him. Rather, God invites and calls us to share His gifts with those around us. Our willingness to share what God has given us with others becomes an expression of our gratitude, all flowing from grateful hearts shaped by God’s grace. Once a year all three of our worship services combine for one, massive worship experience! Our theme for 2015 focused on Philippians 3:20 and that we are citizens of God's Kingdom. 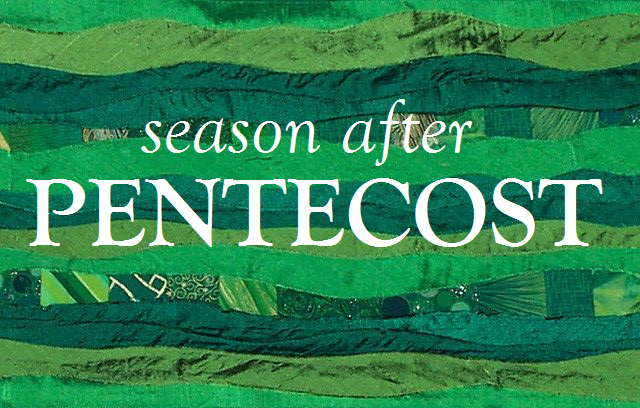 The two Sundays celebrating the Day of Pentecost and the Feast of the Holy Trinity finish out the month of May. Both of these festivals have significant meaning for the Church and for God's people today. “The Story” is an abridged, chronological version of the Bible laid out in the format of a novel. It can help people get a better sense of the Bible as one continuous narrative of God’s love, centering ultimately on the redemption He has given through His Son. The season of Lent gives us opportunity to be renewed by God’s power as we prepare to celebrate the glorious resurrection of Jesus at Easter. This year our midweek worship services draw us to look to selected Psalms as God shapes and renews our life of faith. 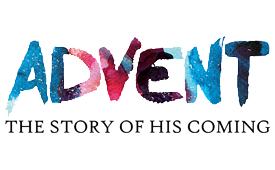 The themes for our Christmas 2014 season revolve around the culmination of the Advent season and the reentry to our series on "The Story." Messages included are from our Christmas Eve Family Worship service and two traditional services and Christmas morning worship. The season of Advent is a time when we anticipate and prepare for Christ’s coming: preparing to celebrate with joy His coming on that first Christmas as well as preparing to receive Him when He comes again. The Scriptures that engage us during this season of Advent tell the story of watching, waiting, preparing, telling the good news, and trusting in God’s promises. In the midst of all the things that fill our lives with the busyness and the trappings of the season, our Lord fills us with something substantive to share: the hopeful expectation of Jesus’ coming, along with new ways to engage others as we tell His story. For our Advent midweek worship series, we don’t gloss over things as “all wonderful” this time of year, but we are filled with wonder as we zero in on the Incarnation of Christ and how His presence fills our lives with so many blessings. As our worship turns towards the coming of Christ, we stand in true wonder and amazement at how He has made us a part of God’s family, how He has clothed us with the robe of His own righteousness, and how He has filled us with the gift of the Holy Spirit so that we might be empowered to serve others as we bear Christ to a world deeply in need of His love. Summer is a great time to go “back to basics”—in any area of life, especially for us as we follow Jesus. This summer our Back to Basics sermon series invites us to explore “10 Things You Gotta Know as You Follow Jesus.” Guided by Scripture we get to review foundational truths of our Christian faith and what it means to be a Christ follower.